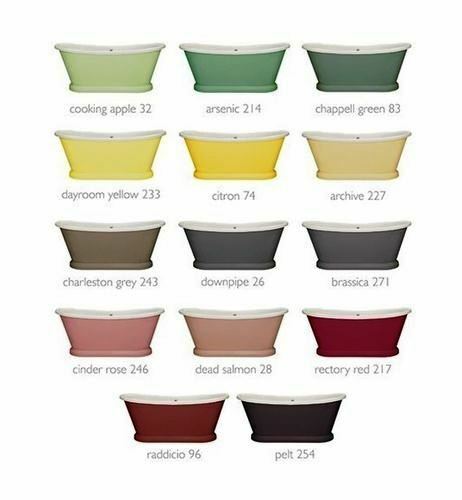 Paint your bath with a choice of over 170 colours! For those who like something a little bit different check out the bath painting service from BC Designs. If you just want to give your bathroom a quick face lift why not paint your bath to stand out from the crowd. There is a huge choice of colours including both the Farrow and Ball and the Little Green Paint Company ranges and this service is offered on the traditional Excelsior and Boat baths style of baths. In addition to these colours they can also paint your bath from a choice of over 170 RAL colours, so you can match your bath to any colour scheme you prefer. 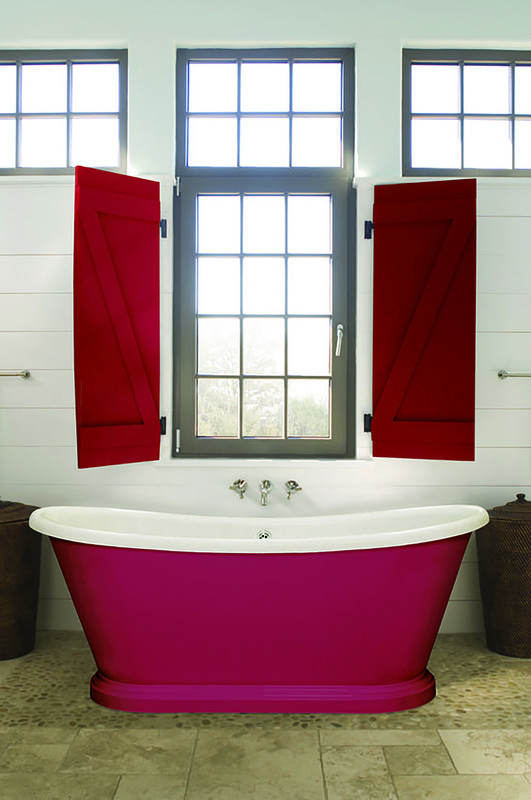 Shown here is a traditional slipper bath painted to match the wooden shutters of a French farmhouse.